By far the coolest speakeasy I’ve ever been too. 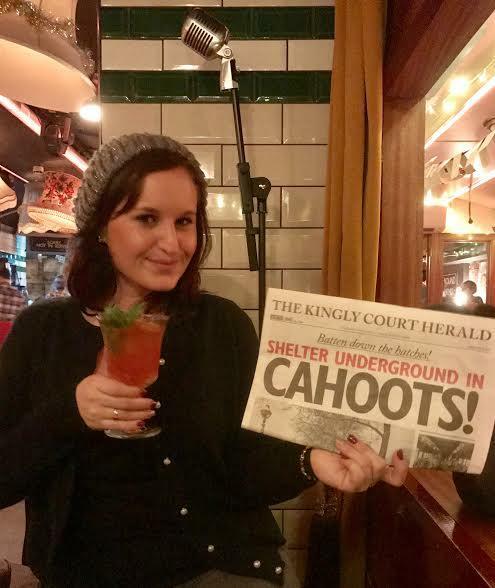 Keeping the Blitz spirit alive, Cahoots is an underground bar formally a tube station. 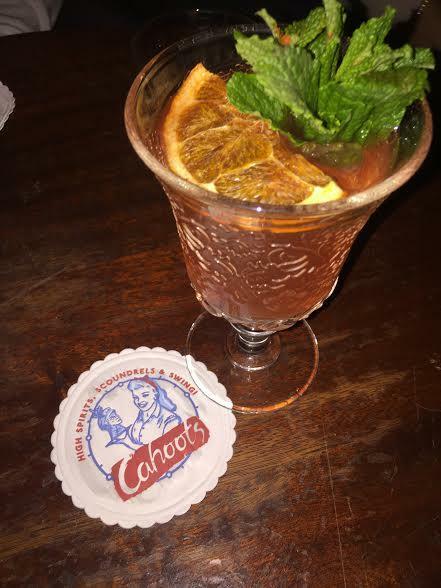 Set back into the 1940’s and 50’s, sip on craft cocktails and jam out to swing. We chose from the newspaper inspired style menu the Corpse Reviver No. 2. with No.3 gin, Cointreau orange liqueur, Lillet Blanc vermouth, absinthe and fresh lemon and the Ginger Rogers, with ginger infused Bombay Sapphire gin, Campari aperitif, mandarin liqueur and fresh lime topped off with sparkling wine. Talk about a good buzz! This place gets packed so make sure to make an online reservation.